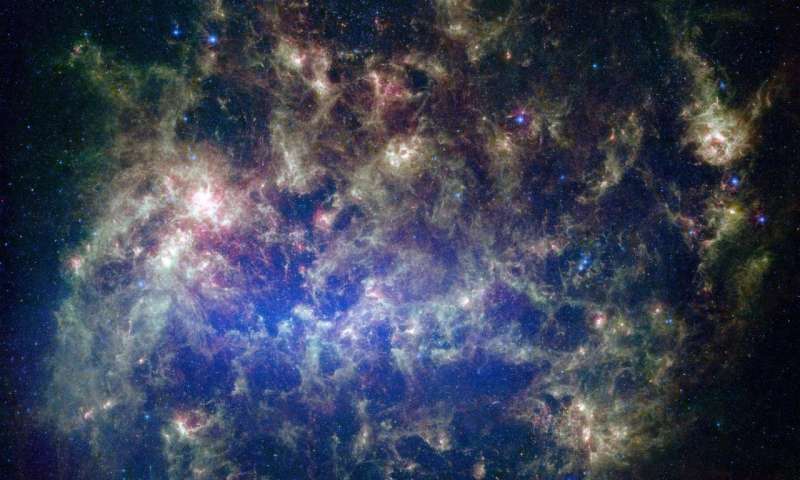 New research led by astrophysicists at Durham University, UK, predicts that the Large Magellanic Cloud (LMC) could hit the Milky Way in two billion years’ time. The collision could occur much earlier than the predicted impact between the Milky Way and another neighbouring galaxy, Andromeda, which scientists say will hit our galaxy in eight billion years. The findings are published today (Friday, 4 January) in the journal Monthly Notices of the Royal Astronomical Society. Typically, these satellite galaxies have a quiet life and orbit around their hosts for many billions of years. However, from time to time, they sink to the centre, collide and are devoured by their host galaxy. The Large Magellanic Cloud is the brightest satellite galaxy of the Milky Way and only entered our neighbourhood about 1.5 billion years ago. It sits about 163,000 light years from the Milky Way. Until recently astronomers thought that it would either orbit the Milky Way for many billions of years, or, since it moves so fast, escape from our galaxy’s gravitational pull. The research team, led by scientists at Durham University’s Institute for Computational Cosmology working with the University of Helsinki, in Finland, used the EAGLE galaxy formation supercomputer simulation to predict the collision. “The destruction of the Large Magellanic Cloud, as it is devoured by the Milky Way, will wreak havoc with our galaxy, waking up the black hole that lives at its centre and turning our galaxy into an ‘active galactic nucleus’ or quasar. “This phenomenon will generate powerful jets of high energy radiation emanating from just outside the black hole. While this will not affect our Solar System, there is a small chance that we might not escape unscathed from the collision between the two galaxies which could knock us out of the Milky Way and into interstellar space. The collision between the Large Magellanic Cloud and the Milky Way could be spectacular, the researchers say. Co-author Professor Carlos Frenk, Director of the Institute for Computational Cosmology, Durham University, said: “Beautiful as it is, our Universe is constantly evolving, often through violent events like the forthcoming collision with the Large Magellanic Cloud. According to the researchers, the merger of the two galaxies could be long overdue in cosmic terms. 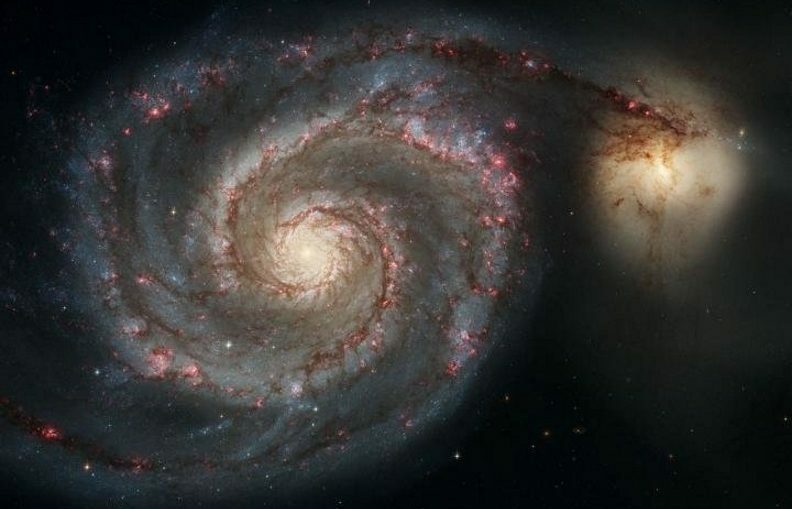 Dr. Alis Deason, of Durham University’s Institute for Computational Cosmology, said: “We think that up to now our galaxy has had only a few mergers with very low mass galaxies. “This represents very slim pickings when compared to nearby galaxies of the same size as the Milky Way. For example, our nearest neighbour, the Andromeda galaxy, devoured galaxies weighing nearly 30 times more than those consumed by the Milky Way.